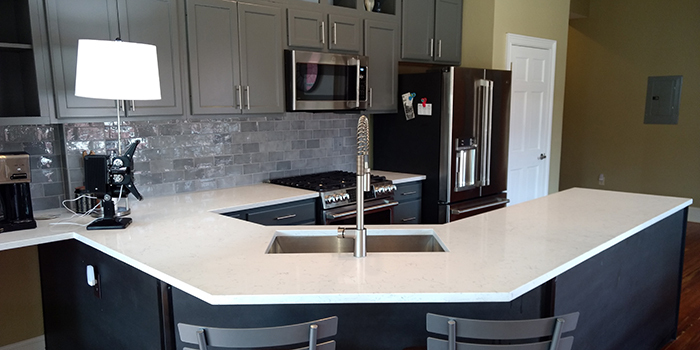 This downtown condo kitchen upfit on a budget had outdated cherry cabinets, over used granite, and tile. 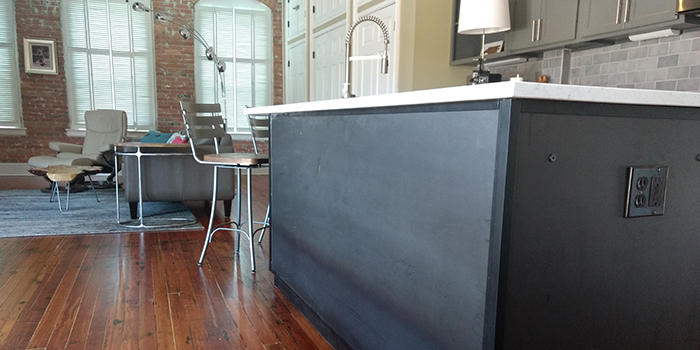 We covered the exposed back of the peninsula cabinets with hot rolled steel and painted the existing cabinets a soothing grey color. 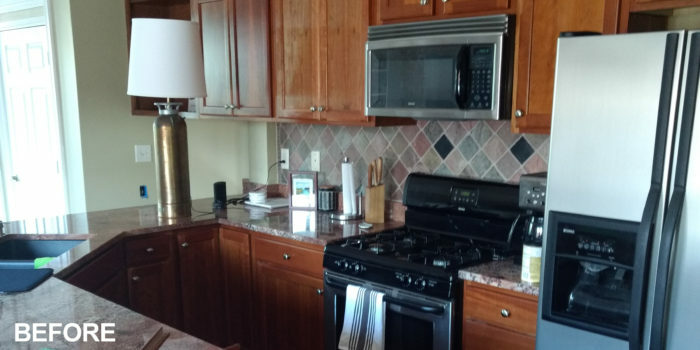 Installed a new Carrara quartz countertop, and 3×6 Hampton Mist glossy handmade type tile for the backsplash along with new appliances and… voila! This amazing open space overlooking Broadway feels completely different.